Coming to the United States from Serbia at the tender age of nine, Topic grew up in New Jersey and found himself becoming an ardent viewer of boxing matches. With the “Sweet Science” piquing his interest, Topic wanted to take up the sport, but his request would be shut down by his parents. Eventually, persistence paid off for Topic as he earned his parents’ blessing to take up the Korean martial art of Tae Kwon Do. Topic began at 14 years old and was a black belt by at the age of 17. As impressive a feat that is, Topic wanted more. Eventually, he stumbled upon Muay Thai, which sparked his desire even more. “I ended up seeing Muay Thai for the first time on TV when I was 18, and I was driving around, and trying to find a gym. I found one that was near my house, and I have been with the same gym since I was 18 years old,” he added. At the North Jersey Muay Thai Gym, Topic honed his skills, and after two years of training, he began to compete, all while fulfilling his parents’ wishes of getting a college diploma. Topic eventually graduated with a Bachelor’s Degree in Fine Arts at the William Patterson University. However, Topic’s life as a martial artist remained a secret from his parents for years. Eventually, the truth surfaced when a family member had stumbled upon one of Topic’s bouts on the video streaming website YouTube and showed it to his father. Needless to say, Topic’s father was not too pleased with what he saw. “My father stopped talking for me for four months,” Topic revealed. “After that, my parents realized this is something they were not going to be able to stop. We did not really talk about it. They knew I was still doing it, but we just kind of stopped talking about it,” he continued. The time to talk about it eventually arrived, and Topic gave his parents quite the choice to make. 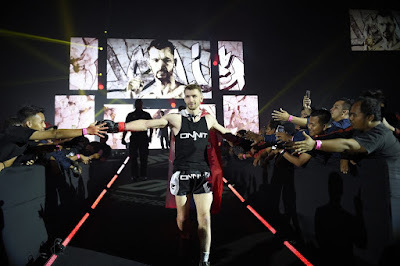 As it turned out, it would be the best outcome for Topic as he went on to become a very decorated martial artist, capturing numerous titles in his professional career such as the Lion Fight Lightweight World Championship, the WKA North American Lightweight Championship, the WBC North American Super Featherweight Championship and the IKF Lightweight World Championship. While the championships and honors bring prestige to the athlete, for Topic, it is all about giving back to the people who have helped to mold him into the top-tier martial artist that he is today. Now, Topic plies his trade on the international stage. 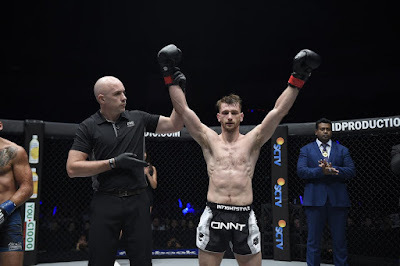 At ONE: GRIT AND GLORY in Indonesia last May, Topic made a successful ONE Super Series debut, dismantling Stergos “The Greek Dynamite” Mikkios en route to a unanimous decision victory. Topic makes his return to the ONE Championship ring at ONE: BEYOND THE HORIZON on Saturday, 8 September at the Baoshan Arena in Shanghai, China, where he takes on Muay Thai icon Tukkatatong Petpayathai of Thailand in a bantamweight contest. 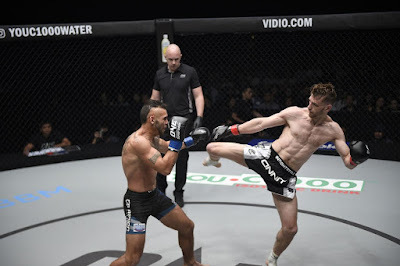 Another decisive win will definitely move Topic one step closer to another prestigious honor: the ONE Super Series World Championship.